One of the great features of Canvas is the ability to markup student assignments directly within the Canvas SpeedGrader (Check out the documentation on the Canvas website to see this in action). One thing to keep in mind is that this “markup” capability only works with certain file types. 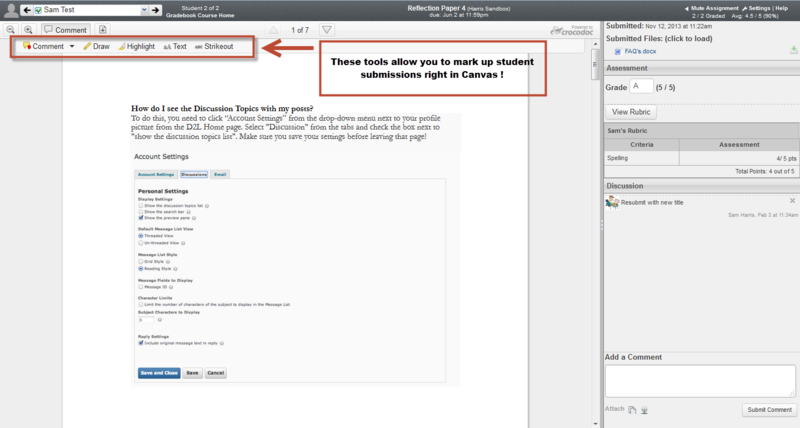 If a student submits a file in an unsupported file type, you will not be able to mark up the assignment within Canvas. Excel (.xls/.xlsx) is currently in “Beta” (testing) and did not work when I tested it. 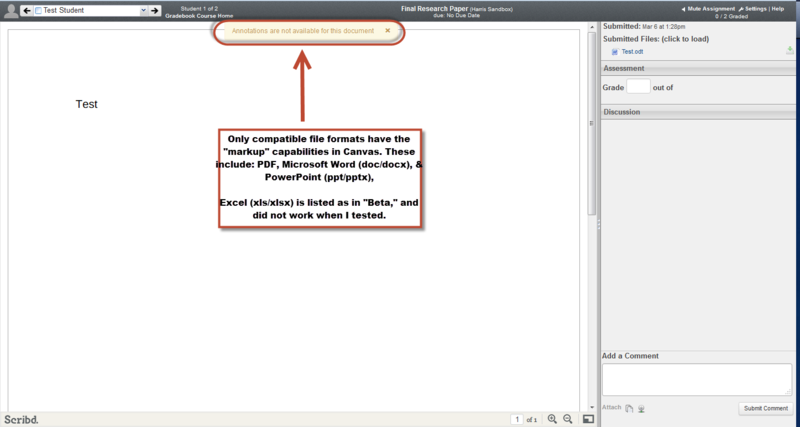 If a student submits an assignment in the proper file format, you will have the “commenting” features available (see below). So, even if a student submits an unsupported file type, you can still view/grade it in Canvas, you just can’t “markup” the assignment. If you plan on using the commenting features in SpeedGrader extensively, you will need to have your students save their assignments in a compatible file format. This entry was posted in Canvas: Assessment and tagged Canvas, Comment, Compatible, Crocodoc, File Formats, SpeedGrader, Spring 2014 by Sam Harris. Bookmark the permalink.